Luke Howdle lowered his three-year old lifetime best to clinch 200m Butterfly gold in Sheffield. The City of Sheffield swimmer clocked 1:58.67 in his home pool at Ponds Forge to take the touch in a thrilling senior final. Howdle had been stuck on a PB of 1:59.40 since the 2014 British Champs, but soared past that time to edge ahead of fastest qualifier Matthew Domville in the last 50m. Warrington Warriors swimmer Domville also clocked a PB as he clinched silver in 1:58.72 with both swimmers beating 1:59 for the first time in their careers. Poole’s Jacob Peters (pictured above with Howdle) was the first English swimmer home in the 17/18 Yrs 200m Fly final. The 16-year old was fastest for the final after a 2:01.01 effort in the heats, before clocking 2:01.63 to come home just 0.08 seconds behind Aberdeen’s Thomas Beeley in the final. There was a Newcastle 1-2 in the 16 Yrs event as Alfie Kelly clocked a PB 2:05.84 to win from teammate Adam Wilson’s PB 2:06.89. Meanwhile, English 14-year olds took gold in both the other age groups. Northampton’s Edward Mildred won his second title of the week, adding to his 400m Free victory from the opening night with a PB 2:07.22 in the 13/14 Yrs age group. The 15 Yrs crown went to Millfield swimmer Huw Williams, who took his lifetime best down to 2:08.37. Newcastle Swim Team’s Nick Pyle also completed a golden double on the second day, adding the 17/18 Yrs 100m Back crown to his gold from the 50m Back. The 16-year old had lowered his British age group record to win the 50m title on the opening day in Sheffield. And while he didn’t clock another PB over twice the distance, he was in a class of his own as he touched more than a second clear in 55.50. Jacob Davies climbed one place up the podium after his 50m Back silver yesterday to clinch the 15 Yrs title. 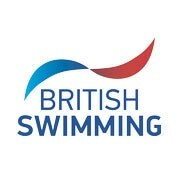 The City of Birmingham swimmer moved to ninth in the British 15 Yrs all time rankings with his 58.08 swim. Guildford City’s Luke Pullen pushed him all the way, touching in a PB 58.13 to go 10th in the same rankings. There was also an English gold in the 16 Yrs age group as City of Sheffield’s Charlie Brown lowered his PB from the heats to win in 57.33. Bath University’s Joe Hulme was the first English swimmer home in the senior age group, clocking 55.25, while City of Oxford’s Nicholas Skelton repeated his result from the 50m Back to win 13/14 Yrs silver in a PB 1:00.70. Stockport Metro’s Oliver Crosby won his second gold of the meet in the 100m Breaststroke with another PB. The 18-year old, who was seventh in the European Junior final earlier this year, lowered his lifetime best to 25.83 to take the touch in the 17/18 Yrs final. Shiverers swimmer Joel Thompson broke 30 seconds for the first time to take the touch in the 16 Yrs final, winning in 29.79 ahead of 50m Breast champion Jonathan Milner of Leeds in a PB 30.06. Havant & Waterlooville celebrated their first gold of the meet in the 13/14 Yrs age group as Austin-Slade Jeffrey won gold in a PB 30.92, his first time under 31 seconds. Millfield’s William Mitchell was the first English finisher in the 15 Yrs final, setting a PB 30.43 while Putteridge swimmer Lawrence Palmer was the top English athlete in the senior age group, claiming bronze in 27.80. Click here to view full results from the British Summer Championships 2017.